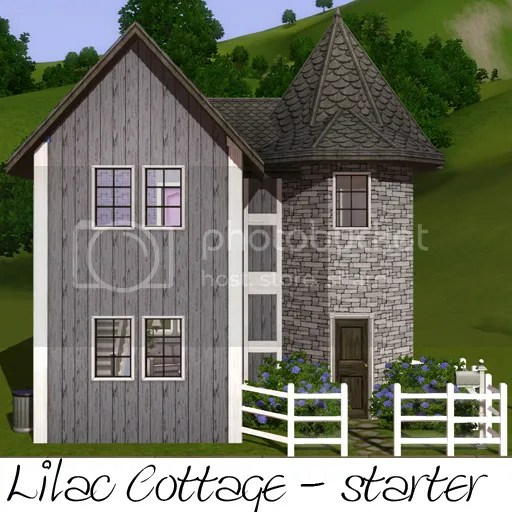 With Lilac Cottage, I am going back to the basics. Yup, that means NO CC, NO store content, NO EPs or SPs – just the Sims 3 base game. So this should really be for everyone to enjoy! 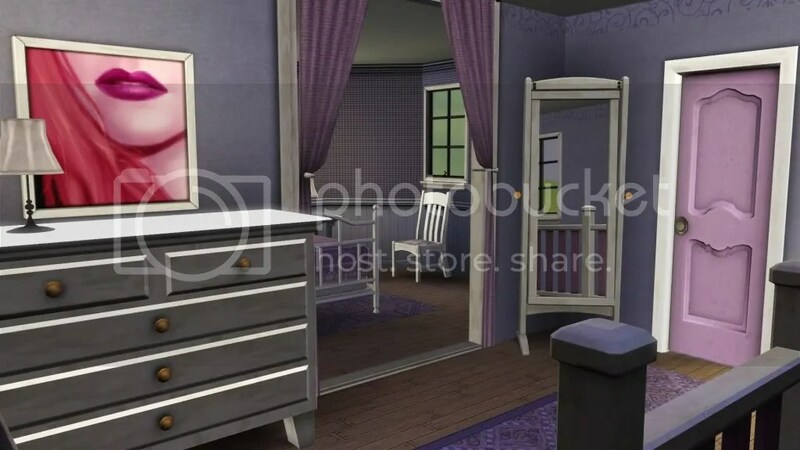 Lilac Cottage is a single sim starter, but still suitable for a couple (that is, if you get the man to agree on the colour scheme… It IS very girly). 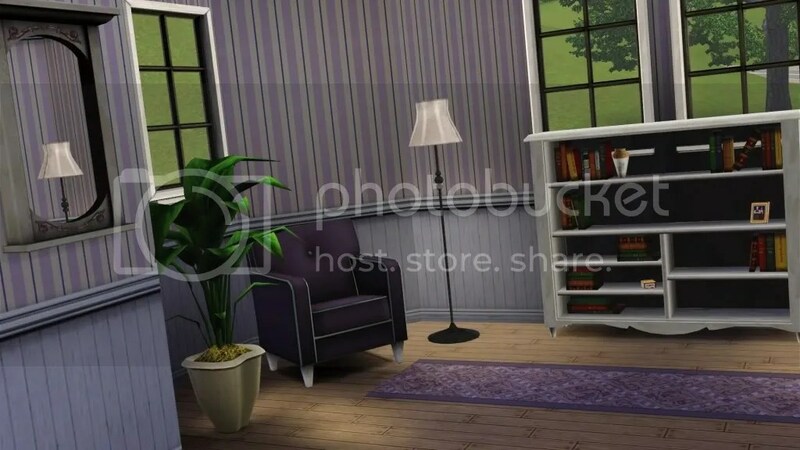 Feeling somewhat spacious for starter without feeling bare, your sims get the “Decorated” moodlet in this one! 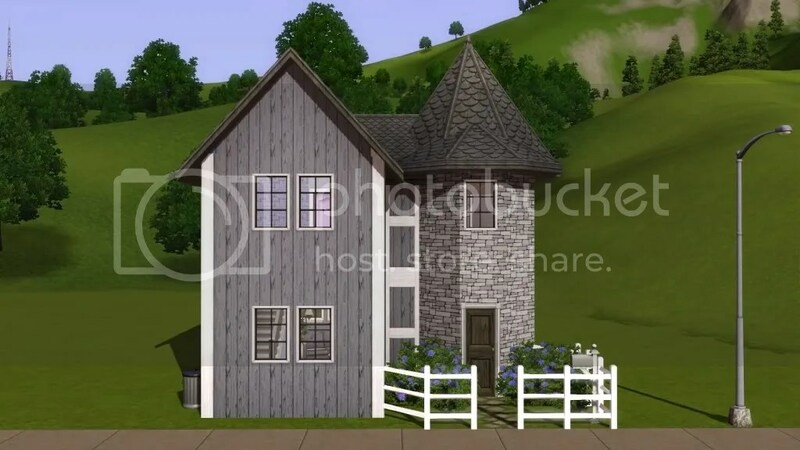 It has the most important features for sim sanity: A spacious full bathroom with both a shower and a tub, a master bedroom with a double bed, a spacious landing, and even some entertainment, here presented in the form of a TV and a bookcase. There is room enough downstairs to add a desk and a computer if you want that later on. You can see more pics in the slideshow!